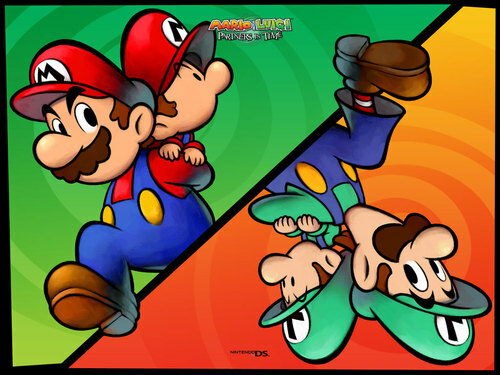 Mario & Luigi. . HD Wallpaper and background images in the super mario bros club tagged: nintendo mario luigi. This super mario bros wallpaper contains anime, banda desenhada, manga, desenhos animados, mangá, and quadrinhos. There might also be vitral, fenda, um bandido armado, and slot. Loved this game when I played it. However, I prefer Paper Jam.